Remember the Taycan - Porsche's first all-electric concept sports car, initially unveiled back in August? Despite months of relative silence, the carmaker has finally given us some additional details about the vehicle; including pricing and pre-purchase info. For starters, a brief recap of what we already know: the Taycan (which translates to "lively young horse, according to Porsche) is intended to be a high-performance, luxury EV. 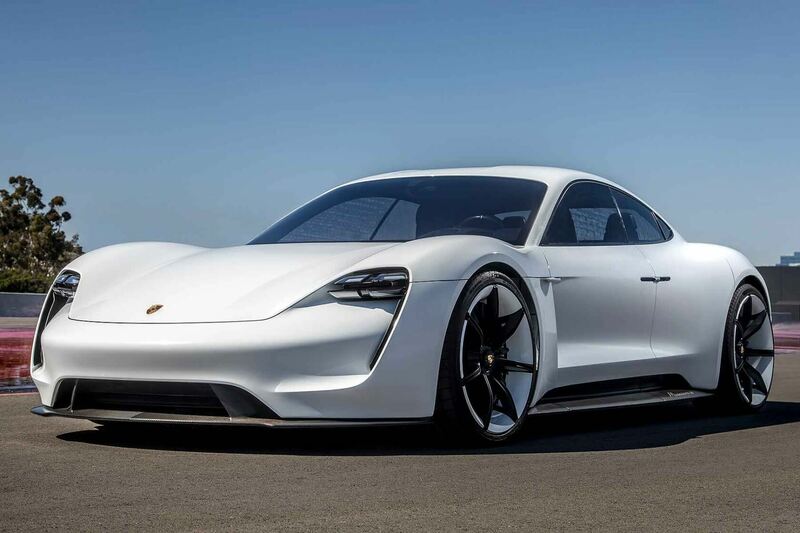 Porsche initially claimed that the car could reach 62mph in a mere 3.5 seconds, with a total range of 310 miles for a single charge. Early renders of the vehicle also revealed that it will have a pretty high-class interior. Now, we know that the Taycan's pricing will match its performance. According to information obtained by The Drive editor Alex Roy, the vehicle will come in three variants, each more expensive than the last. The first Taycan will cost around the low $90,000 range, the "Taycan 4s" will be a four-wheel-drive model priced in the high $90,000s, and the Taycan Turbo will run you over $130,000 "before options." We still don't know exactly when the Taycan will enter full production, but Porsche is hoping the first vehicles will roll off the assembly line sometime in 2019.